Our Christmas Assortment of Pom Bows are made from 100% polypropylene ribbon that is 1-1/4" wide and makes a 5" bow with 16 loops. Made in the USA. 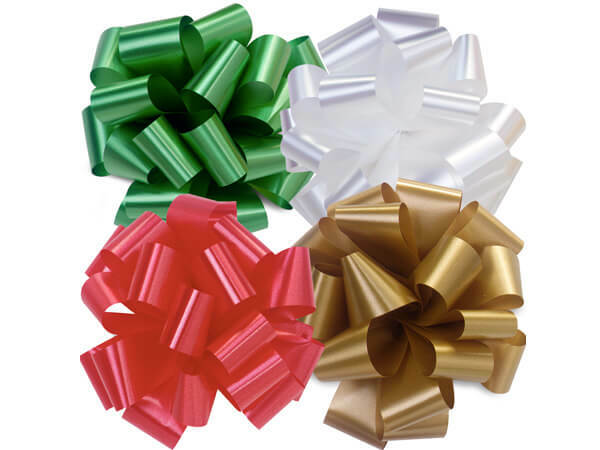 Contains 48 bows total: Red, Holiday Gold, Emerald Green, and White. Colors and counts may vary.